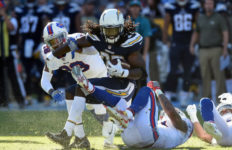 The Los Angeles Chargers will try to resume their winning ways Sunday as they play host to the Arizona Cardinals at StubHub Center. The Chargers six-game winning streak — their longest since 2009 — ended last Sunday with a 23-22 loss to the Denver Broncos. “It was definitely a wake-up call,” Chargers coach Anthony Lynn said. 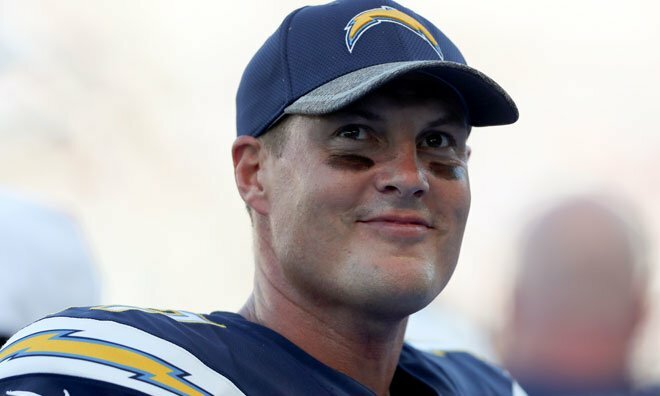 Despite the loss, the Chargers (7-3) still lead the race for an AFC wild card playoff berth. If the season were to end today, the Chargers would be seeded fifth and face the fourth-seeded Houston Texans in the wild card round. The Chargers have not lost back-to-back games since their eighth and ninth games of the 2017 season. They are 7-5 at StubHub Center with three of the losses coming during the four-game losing streak to start the 2017 season. While Arizona quarterback Josh Rosen will be playing in Southern California as a professional for the first time it will not be his first time playing at StubHub Center. As a junior at Bellflower’s St. John Bosco High School he quarterbacked the Braves to a 20-14 win over De La Salle in the 2013 state Open Division championship game at StubHub Center. The 2-8 Cardinals are 2-5 when Rosen is their starting quarterback. Arizona promoted former Harvard-Westlake quarterback Charles Kanoff to their active roster Saturday. 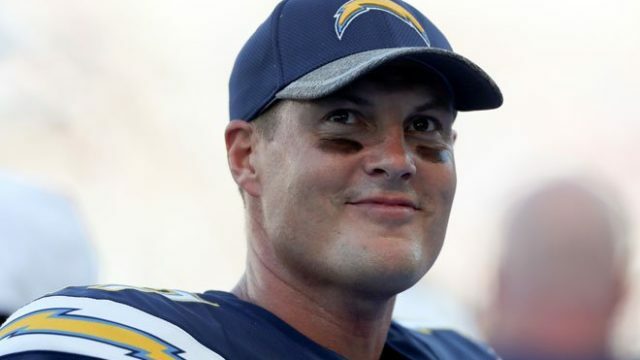 The Denver game included Chargers starting defensive tackle Corey Liuget suffering a quad tendon injury requiring surgery that will sideline him for the rest of the season. Damion Square, a starter at defensive end the past seven games will “be playing a lot more inside” with defensive end Joey Bosa’s return from a foot injury and Liuget’s injury, defensive coordinator Gus Bradley said. The Chargers will again raise funds for the American Red Cross Wildfire Relief efforts and local fire department foundations. Proceeds from the weekly 50/50 raffle will benefit the Los Angeles County Fire Department Foundation and Los Angeles Fire Department Foundation, the team announced. The Los Angeles Fire Department Foundation will send a portion of the funds raised to the Ventura County Fire Department Widows, Orphans & Assistance Fund, a Chargers official said. The 50/50 raffle at last Sunday’s game raised $11,325 for the Los Angeles County Fire Department Foundation. The Chargers will hold an in-game text fundraiser for the American Red Cross Wildfire Relief for the second consecutive game with messages from players encouraging fans to make donations using their cellphones running throughout the game. The Chargers donated $250,000 to the American Red Cross Nov. 15 to help provide around-the-clock shelter, food and comfort to people impacted by the California wildfires. Just prior to kickoff, Ventura County Fire Department Firefighter Mike Williams will handle the ceremonial firing of the cannon. During the recent fires in Ventura County, Williams bravely battled the fires in his Oak Park neighborhood saving many homes while watching his own home go down in flames. Although some homes were lost, neighbors credit Williams with reducing the number of homes destroyed. During the third quarter, volcanologist Jess Phoenix will be recognized for her efforts in rescuing several horses from the wildfires and bringing them to safety. Phoenix is part of Southern California Equine Emergency Evacuation, a 13,000-member group of horse lovers who have space to shelter animals or own trailers to rescue them when disaster strikes. When evacuations were ordered, Phoenix risked her life driving her two-horse trailer into the fire zone to help rescue stranded horses, starting in Agoura Hills and later moving west into the rugged equestrian community of Hidden Valley in the Santa Monica Mountains. Phoenix finished fourth in the June primary in the 25th Congressional District race ultimately won by fellow Democrat Katie Hill. The Chargers will honor former Marine Corps 1st Lt. Brad Kramer and former Marine Corps 1st Sgt. Marcus Wilson as their Military Heroes of the Week in the first quarter. Kramer served 13 years in the Marine Corps. He was deployed to Iraq in 2004. While conducting security operations at the police station in Haditha, Kramer’s unit platoon was attacked during its guard turnover. Kramer was hit in both arms and legs by a Russian-style 60-millimeter mortar round. Three other Marines were also injured during the midnight attack. Kramer’s honors include the Purple Heart, Combat Action Ribbon, Humanitarian Service Medal and Iraqi Campaign Medal. Wilson underwent more than 42 surgeries followed by three years of rehabilitation. After recovering from his injuries, Wilson was transferred to the School of Infantry to serve as the Infantry Battalion operations chief. Wilson’s honors include the Purple Heart, Navy Commendation Medal and Navy Achievement Medal.